DescriptionThese delicate iridescent daisies will add a modern twist to favour boxes or as centre decorations in bomboniere tulle favours. 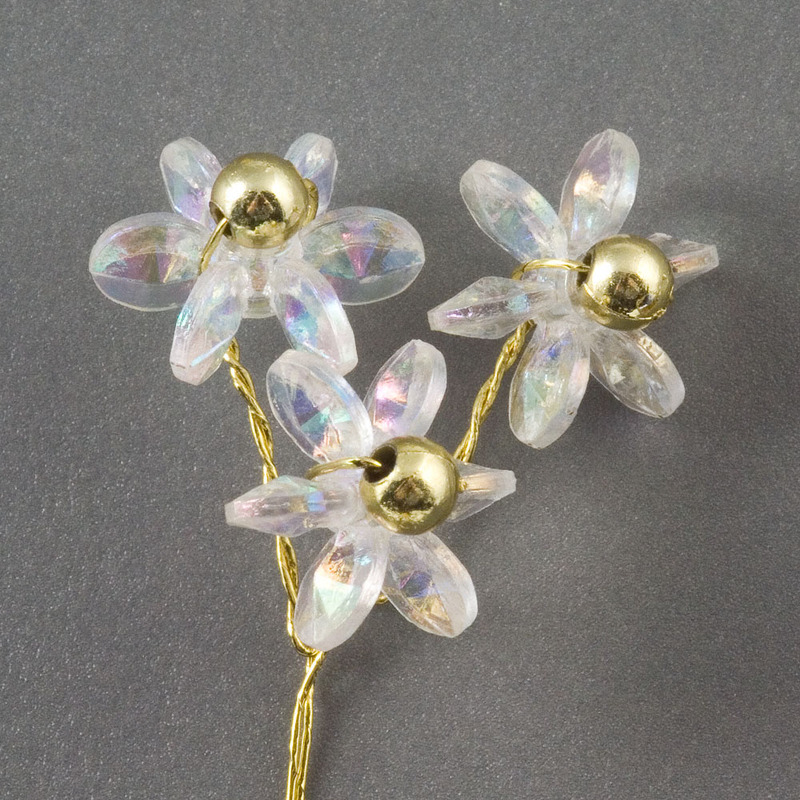 Each wire has 3 pretty daisies with a bead centre. Also suitable to trim invitations or place cards. Size approx.flower 1cm on a 9cm wire. These delicate iridescent daisies will add a modern twist to favour boxes or as centre decorations in bomboniere tulle favours. 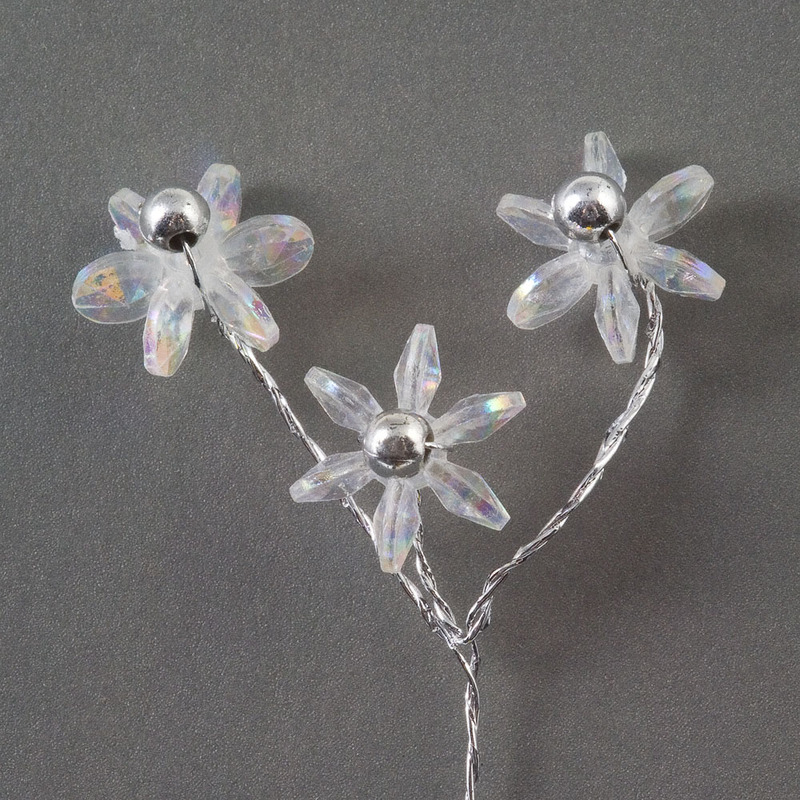 Each wire has 3 pretty daisies with a bead centre. Also suitable to trim invitations or place cards. Size approx.flower 1cm on a 9cm wire.